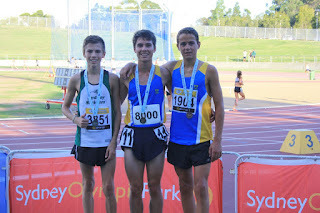 21 Sydney Striders Juniors entered the NSW junior youth championships 8-10 Feb. 2013. The youngest age group is under 14s, but some as young as 11 ran just for the experience, and two of those qualified for Nationals in Perth in March despite competing against older athletes! 15 of our juniors qualified for Nationals and many were state champions, were in the top 3 or ran PBs. We don't have photos of everyone, but there are enough here to give you the idea. The under 18 boys steeplechase. David Gardiner 3rd, Adam Halmy 4th and Paul Loader State champion! Joe Burgess also qualified for Nationals in this event.Luke Gorman won the under 15 boys steeplechase and Josh Phillips also qualified for Nationals in the event. Hannah Gibson was state champion in the under 18 girls steeplechase, and Amelia Gorman qualified for Nationals. So... 8 steeplechasers from Junior Striders qualified for Nationals and 3 are state champions! Adam and David at the water jump. steeplechase. David Gardiner, 16, 3rd. competing against girls a year older than herself. Ben Carter won 2 golds a silver and a bronze in the under 14 boys events. He has qualified for Nationals in triple jump, 90m hurdles, the 400m and long jump. 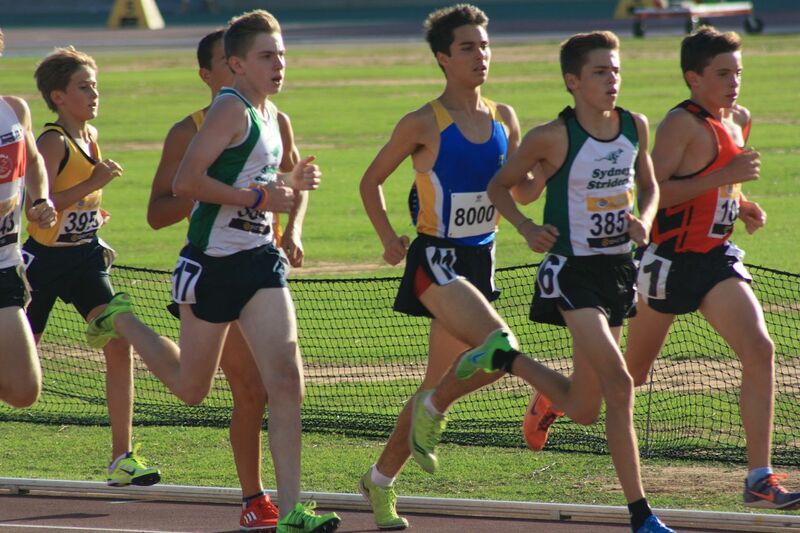 13 year olds Lachlan Cooper and Josh Phillips battle it out in the 3K. 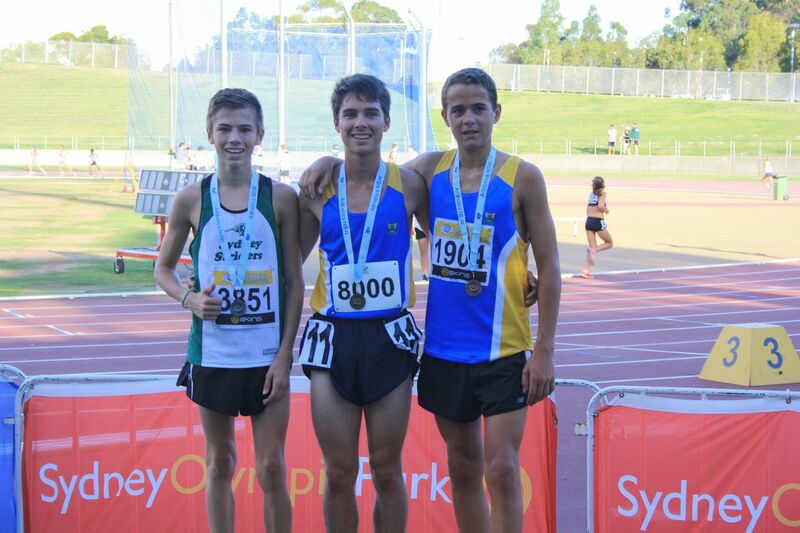 Josh qualified for Nationals in the 3K and the 2K steeplechase, with Lachlan qualifying in the 800m and 1500m. Josh Phillips second in the 3K to a boy a year older than him. Gus Wong in the under 18 boys 800m. 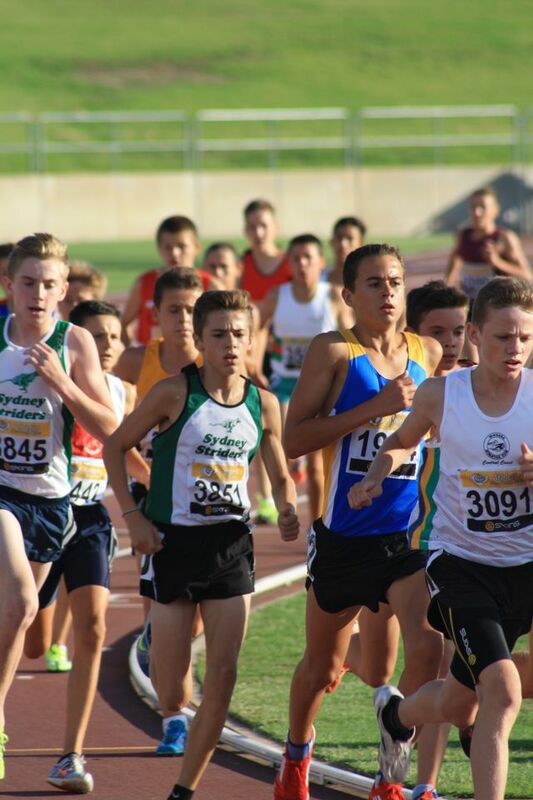 Liam Gorman in front and Tom Davies (11) leading the second pack in the under 14 boys 1500m. Look at that running style! 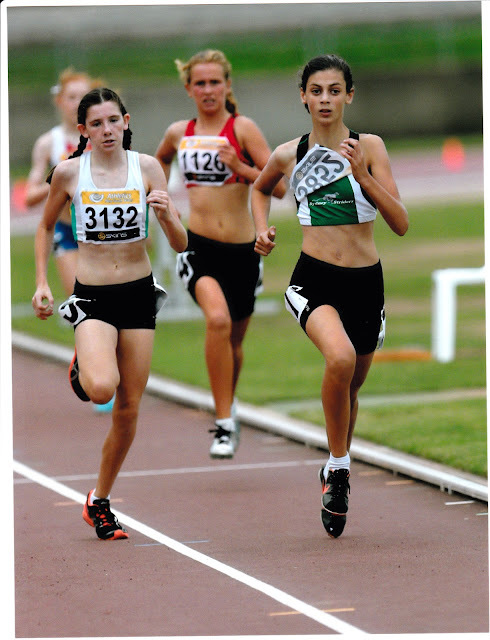 Tessa Constantine, aged 13, qualified for Nationals in the under 18 girls 400m hurdles!!!! Hannah Gibson wins the under 18 girls steeplechase, making it look effortless as usual.